UE Developer provides one of the most efficient digital marketing services in India. 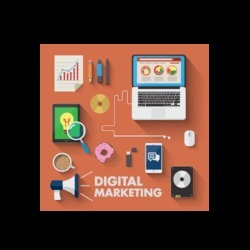 Digital marketing is one of the most important services that everyone should opt for after setting up there business. Digital marketing services help in promoting the business of the company. Digital Marketing services include Search Engine Optimisation, Social Media Optimization and Search Engine Marketing. In SEO i.e. Search Engine Marketing the website or mobile application is optimized according to search engine algorithm. The most common search engine is Google and people generally focus on google to optimize there “Keywords”. Keywords are set of words that user generally searches on google so that in search results, they can view there website on the top so as to increase the visitor count. If you are looking for digital marketing services than you should definitely opt for UE Developer as your next digital marketer.